Annyeong! For today I will be posting something I learned last week. 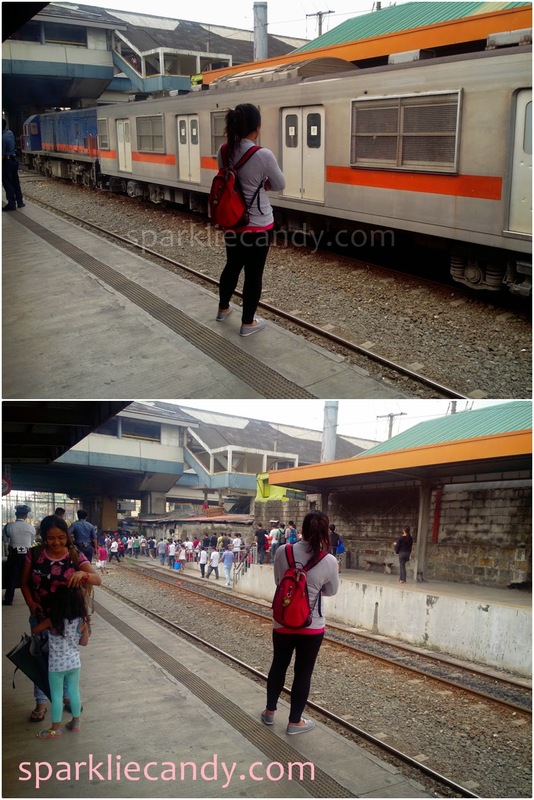 As I search for the best route from my place to Makati I thought of riding the PNR or Philippine National Railway. I remember that I tried riding once from Makati and it was fast compared if I take a bus (so much traffic) and one train ride. However they stopped the operations some time ago during 2009. First thing we must know is, where do exactly the train of PNR go? 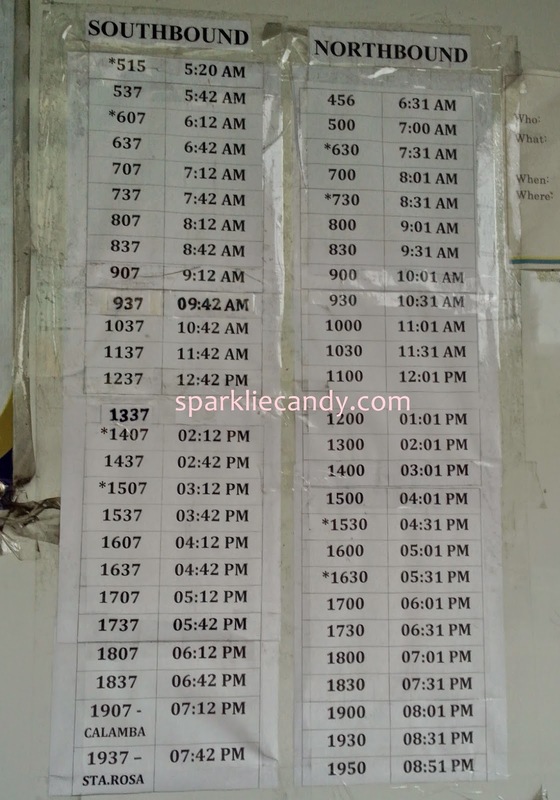 I asked a couple of people and apparently all of them are clueless on what route the PNR has today. 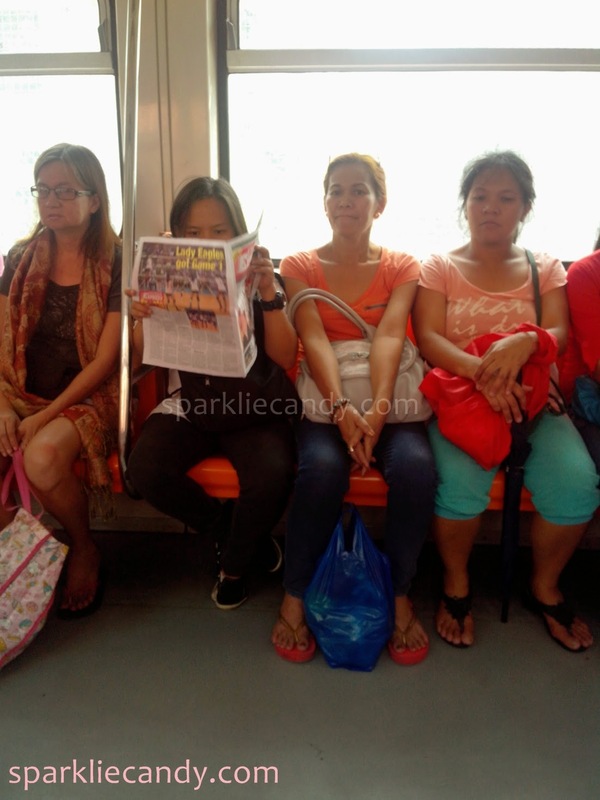 It was hardly advertised unlike LRT and MRT. I checked out several posts regarding the commuter service but I didn't find enough information, giving me more reason to try it again. South bound is the route from Tutuban to Alabang and Alabang to Tutuban is Northbound. Running for over 120 years, the Philippine National Railway (PNR) is one of the oldest train systems in the region. PNR's Commuter Express trains run from Tutuban Station in Manila to Alabang in Mutinlupa City. My sister is bound for Sta. 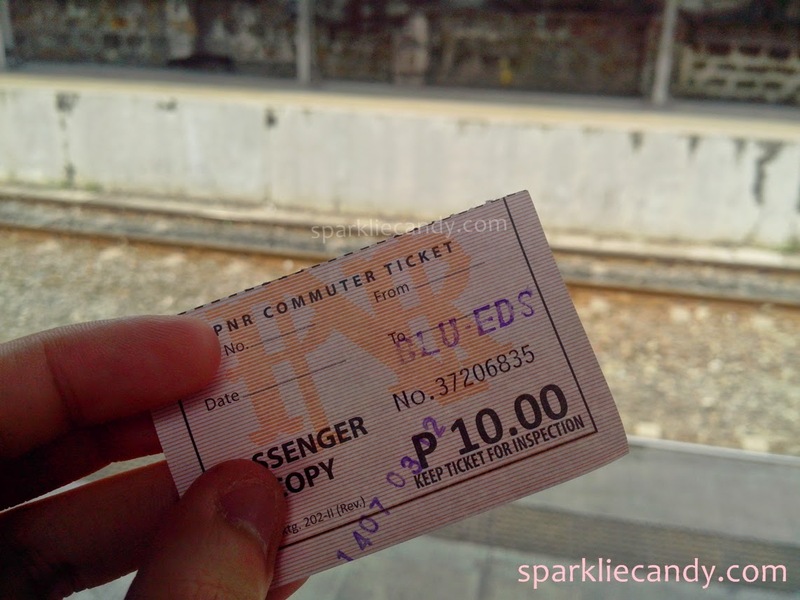 Mesa while me, we only paid P10 each for our tickets I heard even PNR will be increasing their rates but I bet it will still be cheaper than if we take MRT or LRT. I don't have anything against MRT and LRT 1 but they just increased their rates. I bought a new stored value card and it is already P150. :( Now a round trip LRT ride going to EDSA or even Gil Puyat will cost me P60. And the box office lines every morning especially Monday is still there, PRICE+Long lines makes it clearly a no-go. Sometimes the hardest moments of your everyday life doesn't come from work or school but from commuting. One thing I noticed is that the ones mandating the station are lenient in letting passengers wait so close to the platform area. I even saw one guy seating on the platform. Gone are the jingles about security and safety, that's only available in LRT. 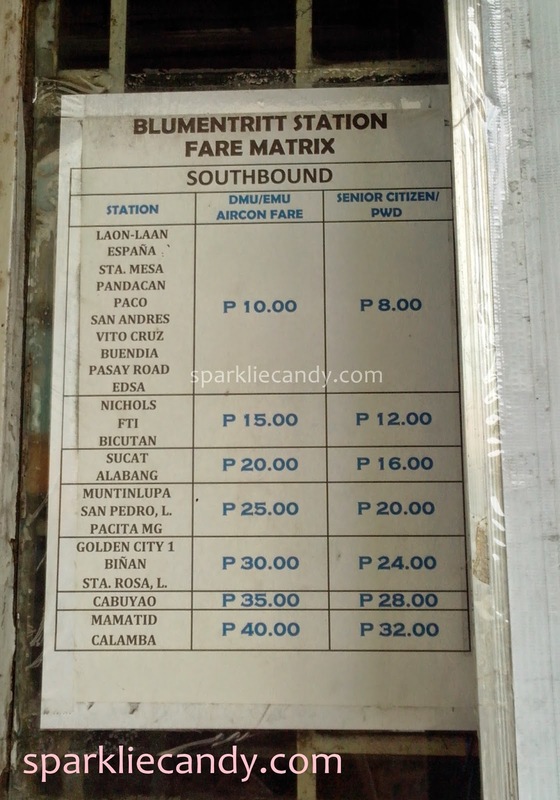 Going back to my story, so we will be riding PNR from Blumentritt because its the nearest station from us. We cross our fingers that it won't be crowded because its non-peak hours. Alas the train came just in exactly at 2:12 PM. There was noise and the train is already old and rusty like the last time I have seen one. I felt excited like I'll be riding the infamous Harry Potter ride because just like the latter its an old train. We were able to take seats, I was amazed that it is air conditioned, just imagine if its not. It was one hot afternoon and nothing will be worst than an un-airconditioned train. Enough seats for everyone. I guess we are lucky. There is even music playing in the background. Can you say awesome? In just 10 minutes my sister was able to get off at Sta. Mesa station, that is a 30-40 minutes slash on her usual ride to school! Cool! 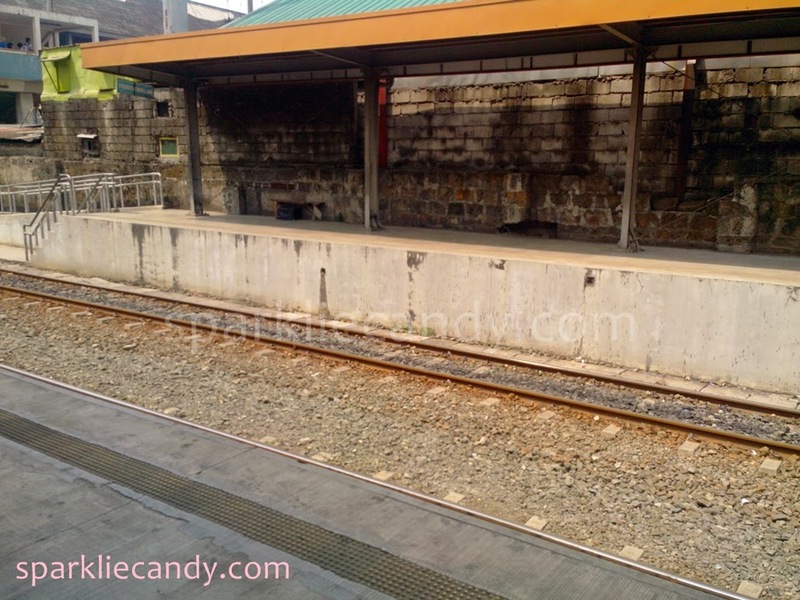 Buendia Station on the other hand is a 30 minutes ride, not bad! One thing to note is that, the PNR just like any other service, are filled with people during mornings, Mondays and peak hours. If you intend to use PNR during this time I suggest to go really really ahead of your time. Right now the point to point stations are Tutuban to Alabang and vice versa. I have no news on the Bicol or farther stations of PNR or when it will resume services. Btw I just wanna share, I watched tv and it was mentioned Manila and Bicol is almost as far as Tokyo and Osaka. In Japan they have shinkansen (japanese term for bullet train which I tried before! kyaa~) and the train ride only takes 1 hour. Awesome. Hopefully someday our PNR evolves like a Pokemon and become a shinkansen. For updates regarding their service, I found their PNR facebook page. Hope this post will be helpful for anyone who wants to try the PNR service! It's kind of scary to ride a train where you don't particularly know where it's going or where it's stopping. But it is still an adventure. And I bet it would be more affordable than riding the bus, LRT, or MRT. 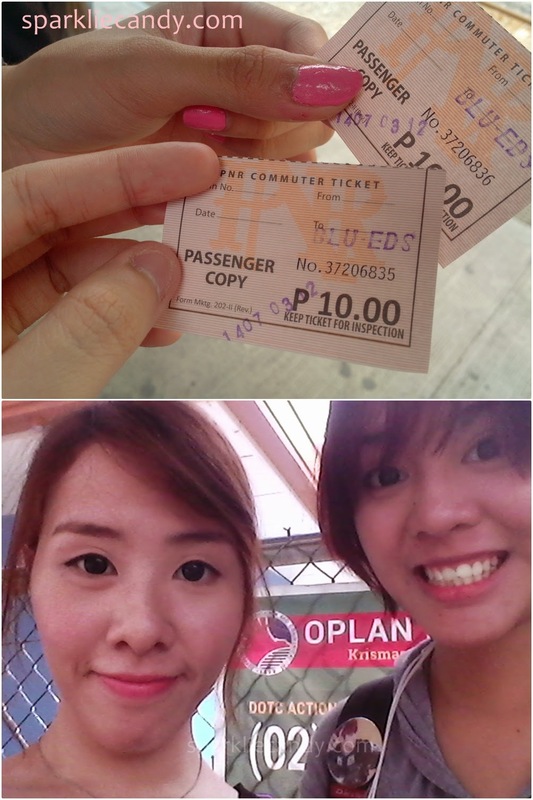 I'm not really sure as I live in Cavite and I don't take train station rides ever, but I do take buses when I go there. This is a really neat post and very informative for those who would like to take the PNR.